I can. not. wait. I am a huge ZOOOoooey fan. What is not to love about her? 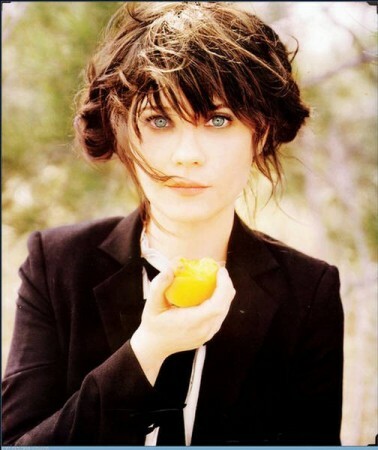 For one, she has THE most amazing BANGS and tresses, magnificent big blue eyes and how adorable was she with Joseph Gordon-Levitt in 500 Days of Summer? And here’s a tribute to all things Zoooooeeeey! my fave thing about is that she’s not uber skinny… she has meat on her bones, she looks healthy. i found her character to be so painful in 500 days of summer, mainly because i sweat joseph gordon-levitt and i wanted to hug him the entire time. A show featuring Zooey?? SOLD! She has the best style and she’s so cute. And I agree, Bridesmaids is pretty much the funniest movie ever! I saw it twice. And can’t wait to see it more! Thank you for your nice comment 🙂 Comments like that help me get inspired to keep going! Aww..I love her too and she is so adorable! Im totally sold:) How are you, darling? How is your week so far? She is adorable! My day and week are going pretty swell! YOU?! I’ll drop by soon!